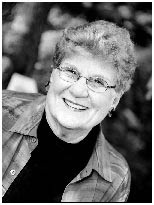 Carolyn (Brakefield) Pinner passed away this morning (August 31, 2008) at around 2:30 am. The time of the service has not be decided on at this time, but she will be brought back to Charlotte and they will have a service here. 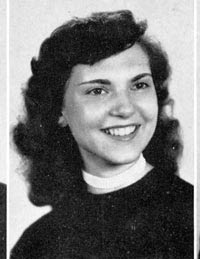 Mrs. Pinner, of Mount Pleasant, SC, formerly of Charlotte, NC, and a 1954 graduate of Central High School, entered into her eternal home with the Lord on August 31, 2008. Born in Chester, SC, on January 25, 1936, she was the daughter of the late William D. and Dolene B. Brakefield of Charlotte. Surviving are her daughters, Melanie P. Bratcher and husband Marty, and Mary Anna P. Lewis and husband David, and grandchildren, Chase and Mariel Bratcher, Cale and Will Lewis, all of Mount Pleasant; sisters, Gaynelle Biggerstaff and husband David, and Becky Cofer and husband Ray, all of Indian Trail, NC; and brother, David Brakefield of Myrtle Beach, SC. Graveside service for Mrs. Pinner will be held Sunday, September 7, 2008 at 2:30 p.m. at Sharon Memorial Park, Charlotte. In lieu of flowers, memorials may be sent to Hospice of Charleston, 3870 Leeds Avenue, Suite 101, North Charleston, SC 29405.